Wooden Flowers by Martin Jones, hand made in Britain. Martin Jones' wooden flowers bring together the beauty of flowers with the beauty of natural wood. Handmade in Britain. 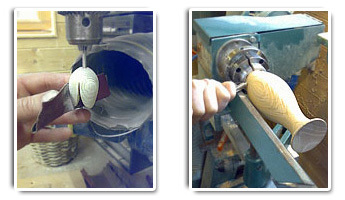 Each flower and vase is turned, machined, sanded and finished by hand to create a unique and beautiful art form. Flower heads and vases are spray lacquered using natural and light-fast colour stains. Coloured flowers are made using Ash, Sycamore, Cherry, Beech and Birch. Coloured vases are turned from English Ash. Natural tulips and vases are made using a variety of woods including Ash, Sycamore, Oak, Cherry, Yew, Iroko, Walnut, Plane and Douglas Fir. All products are made using sustainable woods mainly sourced locally. Working from his Buckinghamshire workshop near High Wycombe, Martin has long been a part of the famous local woodworking industry. 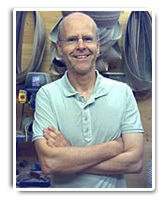 Since 1989 Martin has developed his wood-turning and woodworking skills to create the high quality products you now see on this website. 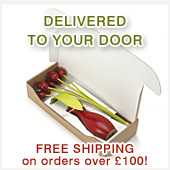 Apart from specializing in producing beautiful hand-crafted flowers and vases. Martin also produces work for shops, galleries individuals and companies wanting high quality wooden crafted items. Customers include: The National Portrait Gallery, David Linley, The Dansel Gallery, Burford Woodcraft, Bates and Lambourne.